Sol y Arena is an amazing oceanfront Hostel. This unique property (10,000 sqm) is a perfect place to relaxed in a cozy atmosphere, a paradise on a virgin beach. 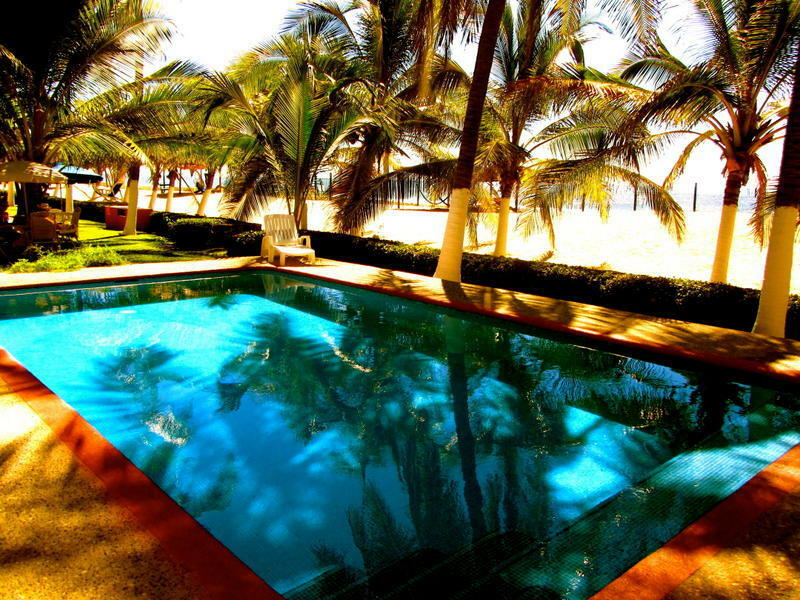 There is a lovely pool and beautiful gardens with hammocks to relax in, to the sound of the waves. The dorms and private rooms are spacious, clean and have double and single beds. They are individually decorated and have en suite bathrooms. Sol y Arena is a wonderful place to get away from the hustle and bustle of everyday life, we are not located near big supermarkets or shops, but it is a short 7km journey to a little town with markets and restaurants for shopping or you can take the colectivo/taxi to Acapulco which is 35 minutes away. We have a very large palapa were you can prepare meals and fresh fish and shellfish can be ordered for you to cook, from local fisherman. We have restaurants along the beach, but they are not abundant. 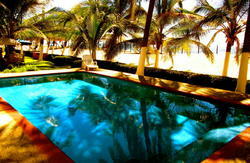 Sol y Arena is near Pie de la Cuesta, situated between the ocean and a fresh water Coyuca lagoon. Located 35 minutes from Acapulco Centro 30 km. 5 hours drive from Mexico City or 45 minute flight. Taxi are available from Acapulco.